I love fall for so many reasons but one of the big ones is the Apple Harvest. We are surrounded by orchards here in the Okanagan and baking with fruit, fresh off of the trees is a real treat! My grandparents have a small, old orchard on their property and I hope that we can go and visit soon, before all of the apples are eaten by the local wildlife! 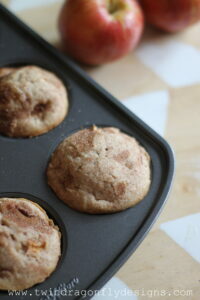 One of my favorite ways to use apples is in these Apple Cinnamon Muffins. 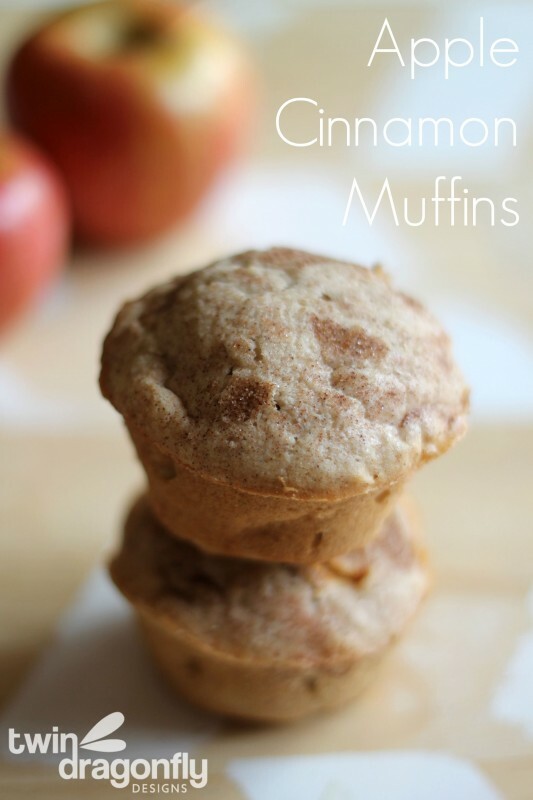 I usually make apple sauce from most of the apples that we pick however I reserve some for these delicious muffins. You can adjust the amount of diced apples to make the muffins more moist or dry. I leave the peel on for convenience sake but that is totally up to you. 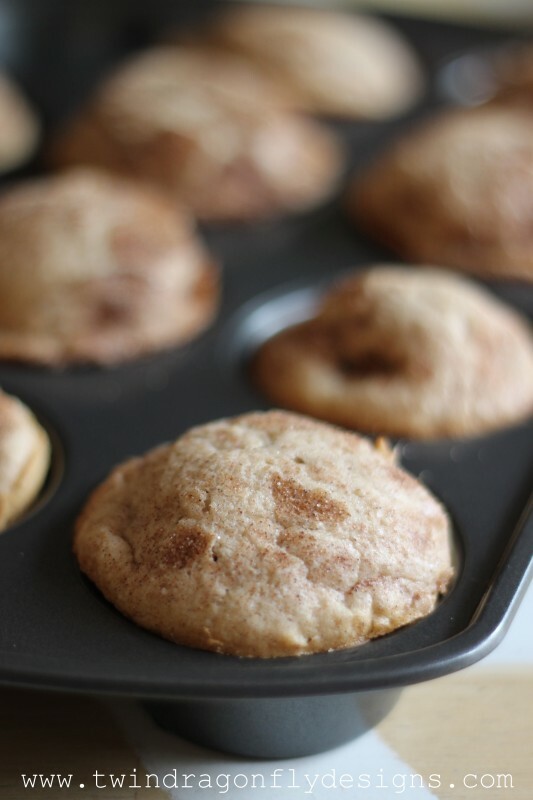 I sometimes sprinkle the tops with extra cinnamon and sugar before baking. The boys gobble these up in no time so I am always careful to hide some in the freezer for school lunches! Combine the sugar and butter until smooth. Mix wet and dry ingredients until well incorporated. Pour batter into greased muffin tins, ¾ full.